Overall Height: 32" - 41"
Dallas bar stool is wrapped in black full leather all around and can take on heavy commercial use as well as serve for years in your home. 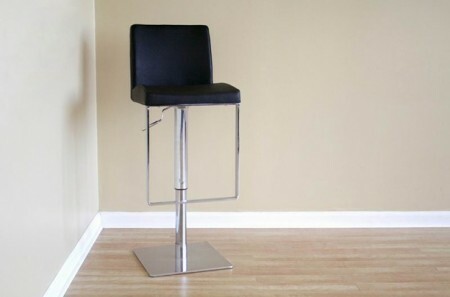 Comfortable squared adjustable height seat and back are cushioned. Black color leather and modern design is completed by steel chrome finished tube, square base and a footrest.